Clusters of starry blooms delight the eye, as well as butterflies, hummingbirds and bees. 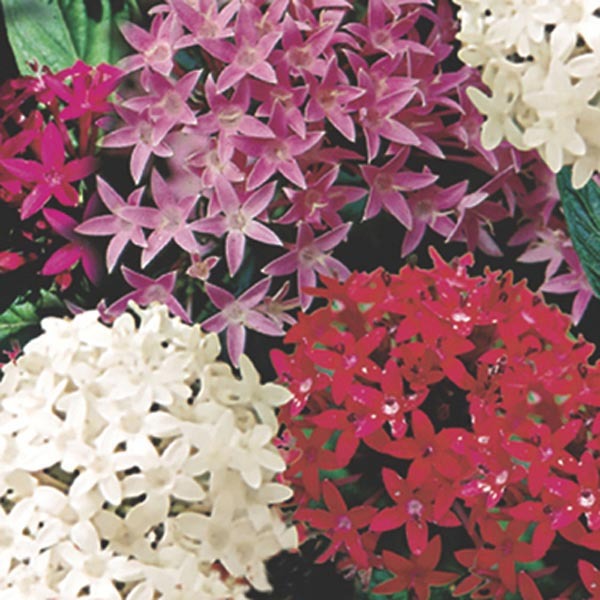 Shrubby, evergreen perennials in their native tropics, Pentas work wonderfully as annuals for the rest of the world, with non-stop flowering from spring into autumn! Best in fertile, well-drained soil. Tolerates drought, but looks best with regular watering. Pinch off leggy shoots and remove faded flowers. Will overwinter where temperatures stay above 50°F (10°C).